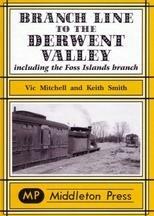 The Derwent Valley Light Railway was a unique undertaking, serving agriculture and providing land for industry to generate traffic for itself. Passenger service was minimal, its southern terminus having a train only on one day a week for many years. The ways of this unusual operation are illustrated in detail, as is the length of preserved line.